Not a great deal of news in our absence, just two snippets. 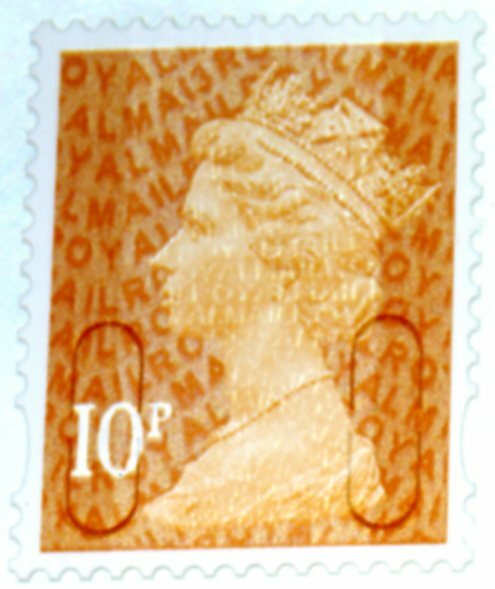 The 10p definitive, mentioned in the spring by a magazine columnist, has at last made an appearance. Thanks to RP for the picture. And the 2nd class Large from counter sheets has appeared with sheet number and a printing date of 07/05/2013. Thanks to MD for this picture. We still don't have the 2nd Large from books of 4 or Business Sheets. My one foray into a post office whilst I was away found that they were using Diamond Jubilee 1st Large, and 2009 printings of 2nd Large booklets. 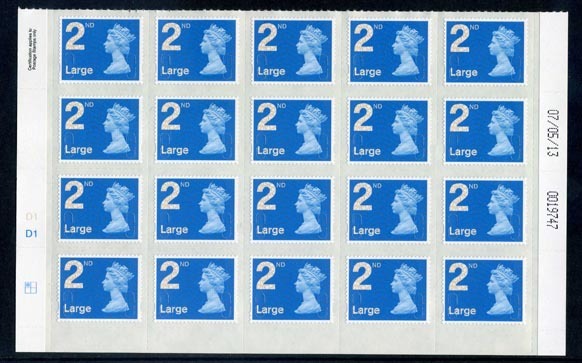 A number of misperforated self-adhesive stamps have appeared over the last month on ebay, a number of 1st class, that appear to have come from a business sheet judging by the rouletting, 151117061678, 161025738163, 151044426528, 151044426573, and a second class 161052102105 showing the security overprint, but you can’t tell the source.